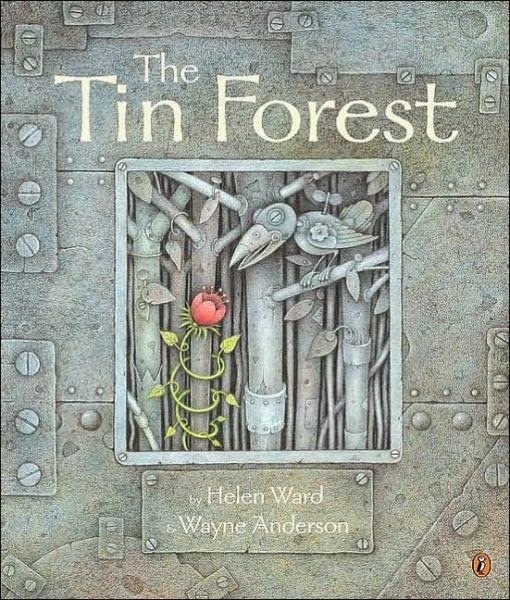 Written by Helen Ward and illustrated by Wayne Anderson The Tin Forest and The Dragon Machine are by far two of my favorite picture books and both are available in PAPERBACK! 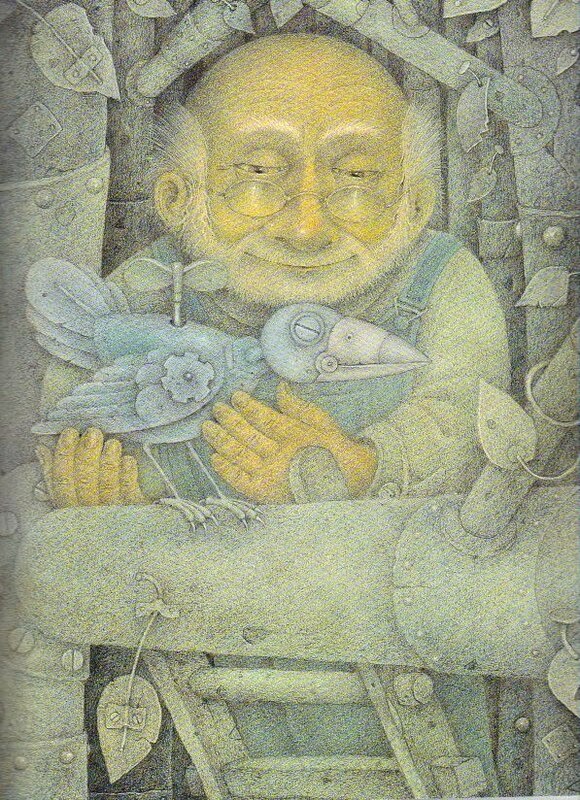 The stories are magical and fairy tale like in tone, as are the illustrations. Both books create worlds you can get lost in. And, the stories are short enough and the artwork so engaging that even the littlest listeners will sit still to hear either of these books read out loud. The Tin Forest tells the story of a man who lived in a, "wide, windswept place, near nowhere and close to forgotten, that was filled with all the things that no one wanted." Surrounded by cast-offs, the little man tries to clear away the garbage every day, "sifting and sorting, burning and burying." 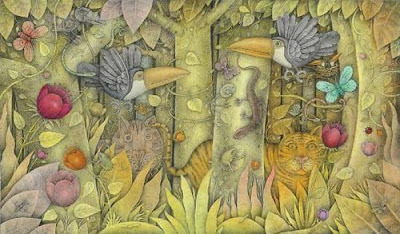 Every night the man dreams of a lush world full of plants and animals, but every day he awakens to the same dull grey world. One day, he decides to build the world that he dreams of out of the refuse that surrounds him and, "under the old man's hand, a forest emerged. A forest made of garbage. A forest made of tin. It was not the forest of his dreams, but it was a forest just the same." One day, a real bird lands in the midst of the tin forest and the old man is overjoyed. But, the next morning, the bird is gone. Soon, though, he returns - with friends! 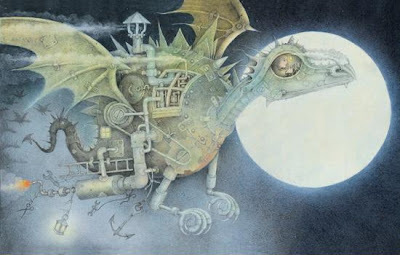 The Dragon Machine tells the story of George who, when he looks out his window one rainy night, sees a dragon. The next thing he knows, he is seeing them everywhere! "Dragons perched on telephone wires and lurked in the trash cans." Soon, though, they are causing problems. When George feeds them "some cookies and smelly cheese," they being following him everywhere and making trouble for everyone. 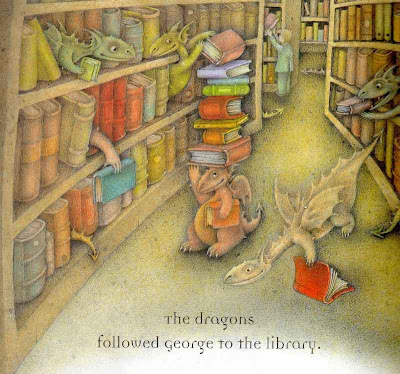 George takes himself (and dragons) to the library to read the Encyclopedia of Dragons, from which he learns of a special place where dragons can live in peace. 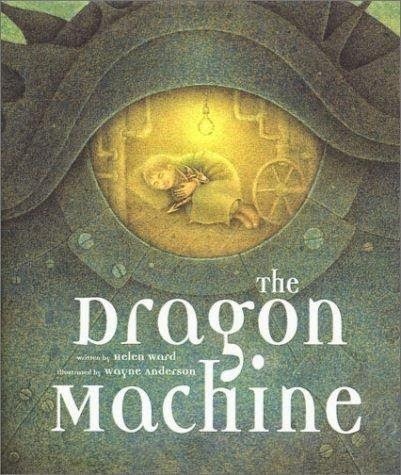 George maps out his journey then build a dragon machine, hoping that the dragons who have imprinted on him will follow him to this new home like baby ducks follow their mother. 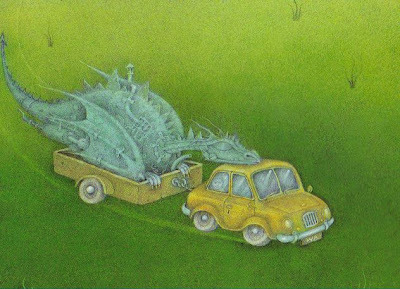 Everything goes perfectly to plan, except for the dragon machine. George finds himself stranded in this new land - and alone! 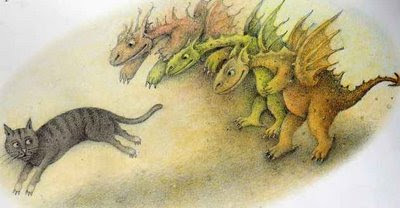 After a much needed sleep, George discovers that the dragons have all run off to find new homes.